Last week I was inspired by Kathy Sue at Good Life of Design when she posted her Color Scheme for the Fall and Winter. Since I am a firm believer in Capsule Wardrobe Planning and try really hard to implement what I teach to others, I decided to post one of my capsules. Because my home-based business requires that I wear only dresses/skirts when representing my company (Mary Kay), I will show what I've put together for my Fall work capsule. I also have suits that repeat these colors and an assortment of jackets can be used with each of these dresses. I have become a scarf lover the past few years and think these would dress up or down the dresses so nicely. As you can tell, many of these pieces of jewelry are interchangeable with all three dresses. I always wear a bracelet. A stylist taught me years ago to never leave the house without a bracelet. So I try not to. These are just four pairs of my favorites. I also have brown, navy and black heels in case I need to change out of the comfortable flats. Of course there are additional jackets and sweaters to throw on when I need a sleeve or occasion change. Fall is right around the corner, so put together your own wardrobe capsule. I would love to hear what colors you plan to dress in this fall. Labor Day is always on the first Monday of September and was established as a special day to recognize and show appreciation for the American labor force. Those special people who have contributed to the economic survival and exceptionalism of this great country. Unlike our esteemed President who seems to believe that the government has provided all that has made America great, these wonderful entrepreneurs and laborers are the true spirit of America's greatness. Thank you! I am not laboring over any project right now. I'm retired, remember? However, I have recently started my own Mary Kay business and although I don't actually labor, I do hope to make a contribution. I will most miss the red, juicy, delicious watermelon. I see this as a copy-out for poor behavior. I'm sure there may be the occasional exception, but any action that would require forgiveness without permission, just probably should not be done. I would love to be an art critic. Okay, maybe I am already a self appointed one. It was my Aunt Thyra. She was the most elegant lady I had ever known. She dressed to the nines and wore the most beautiful shoes. Her home was well decorated in a traditional style which I still love. I just loved everything about her. The fact that I was her favorite didn't hurt either. Don't tell my sisters, because they thought they were her favorite. I am not a hero worshiper. But yes, there are persons today who are examples of purity, integrity, strong ethics, and who are willing to take a stand for right. A hero could be a parent who loves and provides for his/her family and sets the example for principled living. A hero could be a coach, a teacher, a friend or a neighbor of character or a humble and shy astronaut. It has been said of Neil Armstrong: "Neil Armstrong was far more than a symbol but he came to symbolize American innovation for decades." On this Labor Day weekend, I think it appropriate to recognize and remember all persons who have helped symbolize American industry and innovation. I never get tired of being with my family. This weekend, my two sisters and I are getting together just because. We are meeting just to be together and watch LSU play its first game on TV while playing make-up and getting a spa treatment. Early September, we will be going north to the midwest to be with our son and his family for a couple weeks. We always look so forward to our time with them. Shortly after we get back, we will go west to Dallas to celebrate our baby granddaughter's 6th birthday. After that we plan a trip south to see hubby's brother and sis-in-law. Yes, family is something in which I never tire . Thoughts on this Wednesday are with family and friends who are in the path of Isaac this week. It brings back so many memories of Katrina and the stress of not knowing about the welfare of our son who was administrator of a rehab hospital in New Orleans East. He was responsible for patients, employees and their family members who chose to ride out the storm at the facility, for three days before being rescued. But, mostly it reminds me of God's faithfulness as He heard my pleas for peace, protection and wisdom for our son. God heard and answered. God is good! I am so happy to link up again with Carissa for Miscellany Monday for these random, miscellaneous thoughts. 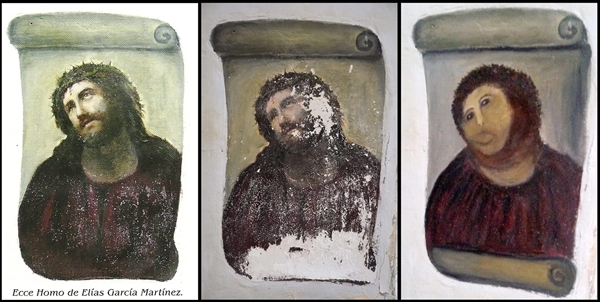 This weekend I saw a news article about an amateur artist who completely destroyed an historic masterpiece. The three photos below tell the tale. The image on the left is the original work, a century-old oil painting of Christ called "Ecce Homo (Behold the Man)" that was painted on a column inside a church near Zaragoza, Spain, by artist Elias Garcia Martinez. Over the years, the work began to deteriorate, as shown in the second image. Evidently, the unnamed amateur artist (without permission from the church, needless to say) thought she could improve the work and set to work with paints and brushes. The third picture is the result. This sad story caused me to think about the image of Christ I'm demonstrating to those around me. We're told in Genesis 1 that "God spoke: "Let us make human beings in our image, make them reflecting our nature...God created human beings; he created them godlike, Reflecting God's nature." I have been made in the image of Christ - I am called to allow Christ to reflect His image to the world around me. Have I been remiss in staying in touch with Jesus Christ through His Word and living in His presence that His image has begun to deteriorate. Has His image in me been compromised? When we begin to allow other "gods" in our life to transform and replace what Christ desires to be in our life, then the image we project becomes a distorted interpretation. * *For beauty is God's handwriting--a wayside sacrament. I am joining Kristina for What I Love Wednesdays. 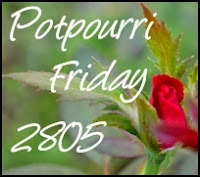 Several days ago I saw a blog from one of my daily favorites, Savor Home and she had simply taken pictures of some of her favorite things in her house. I was inspired to look at the little favorite things I choose to live with each day in a new light. "EXPRESS YOUR STYLE - Live With What You Love"
When hubby and I downsized several years ago, that was our determination: To only keep what we love. And that was the most liberating and exhilarating decision! So, I'm just going to share with you a few of the things I like to look at in my house every day. There are others but I'll save them for another What I Love Wednesday. I love this little colorful glass vase that I found at a Flea Market Booth during a Sister outing. I found these sconces years ago, and love them. I use them in a grouping with mirrors. This one holds a saucer and creamer from an antique china tea set. This one holds an antique pitcher. One of my favorites! This grouping is atop my Lingerie Chest. The plate is an antique and the porcelain duck piece was given to me by a very special friend years ago. I have this grouping of "Siblings" in one of my guest rooms. In the back is my husband with his two older sisters. In front is my sister and I as well as pictures of me with my grandmother. The side pictures are of my granddaughters with their mothers. My very favorite antique piece in my house. It holds an antique dish that I love, a musical dove that was given to me by a special friend, a floral arrangement that belonged to my mother. A picture grouping on a bedside table in the Master Bedroom. One of the most favorite items in my house is this delicate counted cross stitch done by my daughter during a very difficult time in her life. A true labor of love and therefore a real treasure! This little dish that belonged to my grandmother contains all my favorite jewelry from the 50's. My poodle pins, and first rhinestone necklace. Now, some of God's created beauty that I love! New dew-covered fronds on my palm that was a gift from my son's kindergarten teacher - he happens to be 43 today! 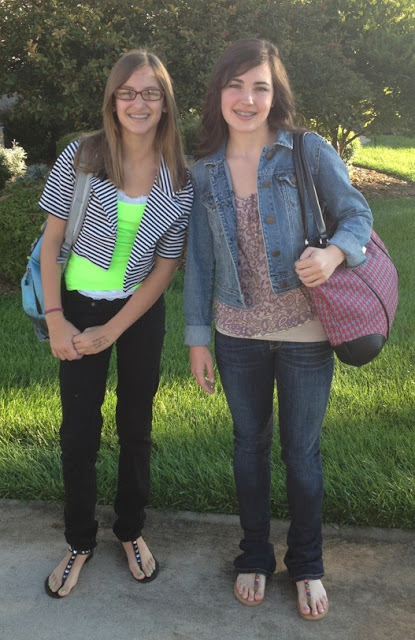 Granddaughters all dressed up for their first day of school! 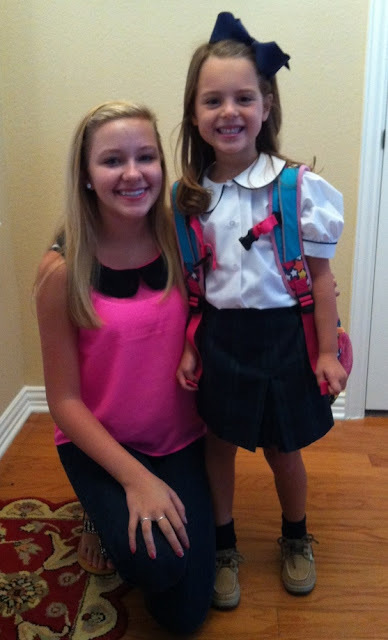 Cassidy is a Junior in High School and Ava Grace is ready for her 1st day of Kindergarten. Maybe this will help you look at your favorite things with a new eye of appreciation and gratitude. 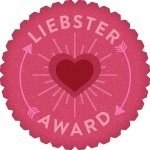 Kerry Steel of Design du Monde awarded me and 4 other fabulous bloggers the Liebster award. The best part of receiving this award is finding new (to me) blogs and "meeting" other really nice folks. 1. 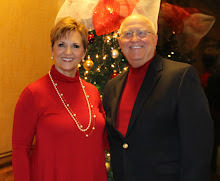 I have been married to the same man for almost 48 years. 2. We met on a blind date in New Orleans and were married six months later. Who said there isn't such a thing as love at first sight? 3. 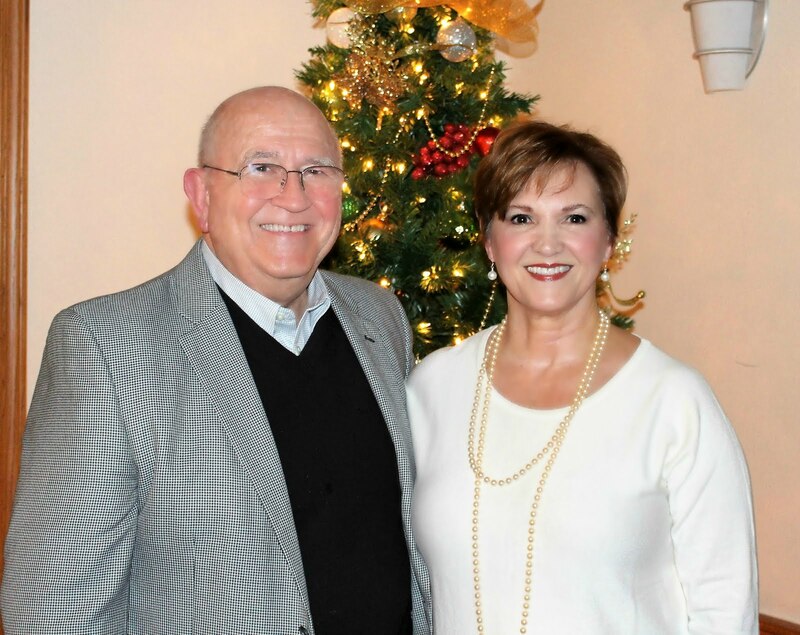 We have two grown children and seven grandchildren, none of whom live close by unfortunately. 4. After working for more than 35 years at two different positions (with some overlap) I retired in June 2011. 5. I'm living my dream! 6. I love doing Wordrobe Planning and Image presentations. 7. Have just become a Mary Kay Beauty Consultant after using the wonderful products for many years and seeing great results. 8. 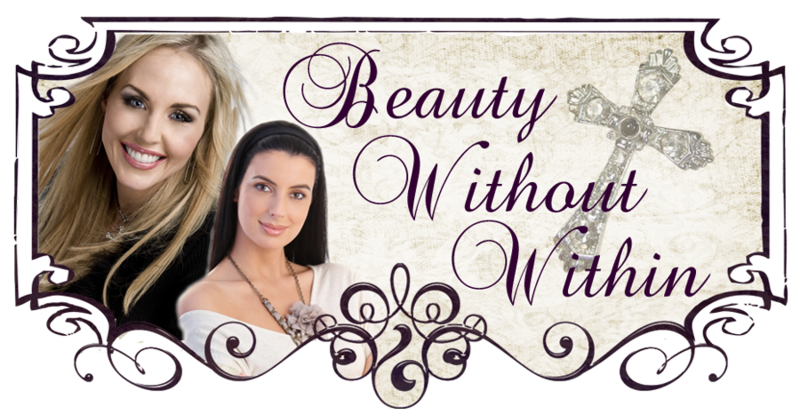 My goal is help women learn how to enhance the natural beauty with which they have blessed. 9. I am a follower of Jesus Christ. 10. I believe the scripture: "Seek ye first the kingdom of God and His righteousness and all these things shall be added unto you." 11. Politically, I am a conservative and believe this is the most crucial presidential election our country may have ever faced. 1. What is your favorite place to have visited? Oh my, this is a toughy! Food is not that important to me, but I guess to play fair and be honest, I would have to say CHOCOLATE! I do enjoy most anything chocolate with nuts. 3. What one expensive item for your home have you been saving for or recently splurged on? Five years ago, hubby and I downsized and now live in a lovely Garden Home in a fairly new Gated Community. Therefore, at this point in our retirement years, we no longer have expensive items on our "Gotta Have" list. I did however, invest in new bedroom furniture when we moved which included a beautiful secretary for my living room. 4. What bad habit, that others have, really annoys you. Okay ladies, I hope this doesn't offend any of you, but the thing that most drives me up the wall is a woman who talks with a high-pitched, squeaky voice. Just can't handle that. 5. What celebrity do you most resemble? I have been told that I resemble Sarah Palin to some degree. Probably because of the glasses more than anything else. I grew up in Louisiana. Was born in north Louisiana but spent most of my growing up years in the south central part of the state. Acadiana! 7. What is your favorite kids movie? I haven't seen one in so long I don't even remember. I watched most of the Disney movies with grandchildren, and have some old Shirley Temple movies, but can't really say I have a favorite. 8. Do you prefer online shopping or real stores? Can I just say, "I'm not a shopper?" When I need something, I go a real store because I am difficult to fit, but shopping is just not my favorite thing to do. Yes, I am Woman! 9. What and where is your favorite restaurant? 10. If you could live anywhere else, where? The side of a mountain in Colorado. Since that is not an option, I'm perfectly content right here. German Chocolate Cake hands down! OK so there aren't 11, but these are my favorite blogs within the criteria. Look them up, I think you'll enjoy meeting each of these fine ladies and bloggers. I just read Rachel's Finding Joy blog today, and thought her challenge to spend just 2 minutes writing down those things for which I am most grateful, would be just what I need for this moment. Okay, my 2 minutes are up and I feel so much better and certainly less self centered for I would have none of this without my Lord.